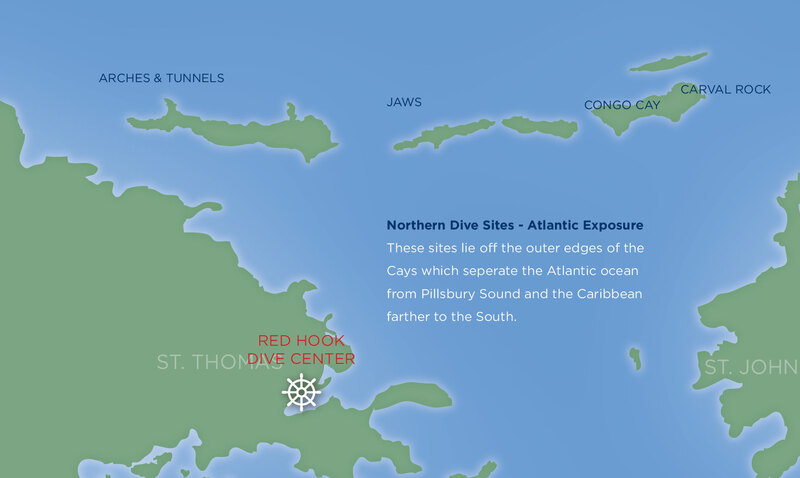 Red Hook Dive Center provides Daily Dive Trips to a number of the best dive sites around St. Thomas – most within 20 minutes of our shop!. These sites offer all of the best of the scuba experience – thrilling views with beautiful colors, a wide variety of undersea vegetation and animal life, rock formations and varying depths. Speci c dive sites are chosen daily based on weather and surface conditions. We gladly accept requests and will do our best to accommodate them.